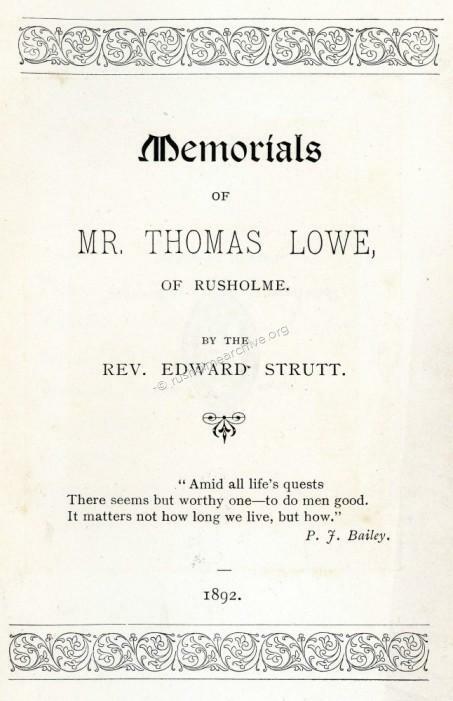 Thomas Lowe was born in a farming family at Wybunbury, Staffs in May 1815. He was the third of seven children, sadly his mother dying when he was only twelve. 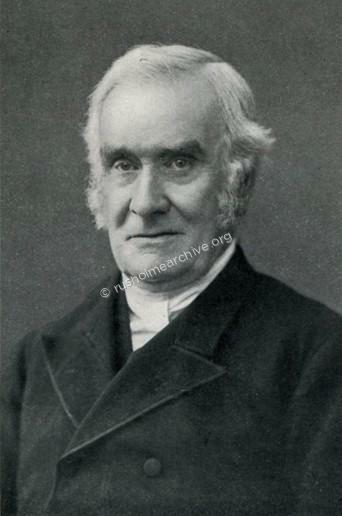 Thomas was brought up in a strong Methodist tradition and his education, albeit modest, had started when he was seven. The headmaster of the school was a Mr Pankhurst, whose grandson, Richard married Emmeline Goulden, forever famous as a leading suffragette. “In August, 1835, Congleton was left for Manchester. It was a painful wrench to leave his spiritual birthplace and the dear companions of his religious life. A Manchester warehouse has not always proved the best school for a young Christian. He saw the perils, and writes :—" I am now residing in the town of Manchester, a place where wickedness abounds: oh that I may have grace to stand in the evil day ! " Birch Fold Cottage, Old Hall Lane, Rusholme; Apartments for Gentlemen; detached cottage; large garden; pleasant rooms. Clearly the family made every effort earn a modest living, Thomas having had various jobs during his life, warehouseman, baker, flour dealer, market gardener, dairyman & milk dealer. He died there on 3 March 1892, aged 76. 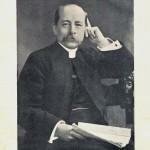 His estate was valued at £174.17 shillings. 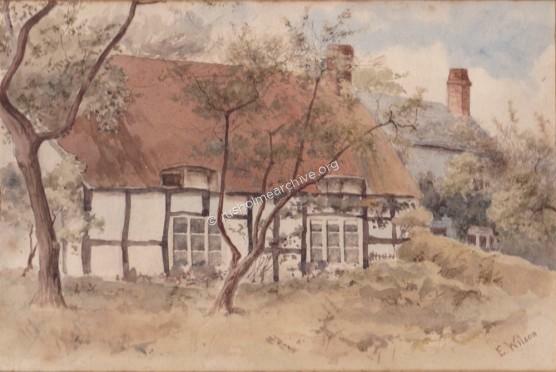 The watercolour painting below of Birch Fold Cottage belongs to Charlotte Broadbent, a great, great granddaughter of Thomas Lowe; It had belonged to her mother who described it as the family home. Charlotte has now very kindly offered rusholmearchive the opportunity of displaying the watercolour. The watercolour is signed by E. Wilson, despite considerable searching I cannot find any details about the artist. William Royle referred to Birch Fold Cottage as the oldest house in Rusholme, and where according to some local rumours Oliver Cromwell had once slept there! The cottage was finally demolished in 1911. Three brothers of Thomas Lowe, (& later his father) emigrated to Australia, his younger brother Joseph having married another of the Cottrell sisters, Elizabeth. 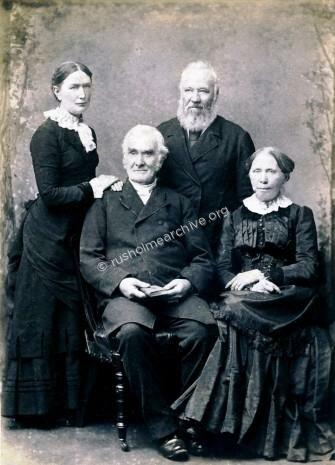 There are still descendants in the UK and Australia; if you want to explore more about the family genealogy follow the link below. To read this book click below and download the book, you will need Adobe software installed. The photograph below is of Thomas, his second wife Mary, and standing is his daughter Rachel, (from his first marriage). The other man is unknown. This photograph has been kindly provided by Paddy Neill, Thomas Lowe's great great grandson.